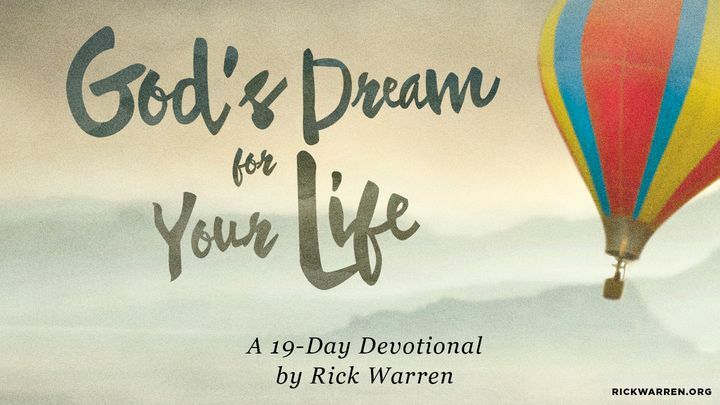 God's Dream For Your Life - The Bible says in Matthew 9:29, “According to your faith let it be done to you.” That’s the key to the great adventure of following Jesus Christ. God says, “You get to choose how much I bless your life. You believe, and I’ll do it. You believe, and I’ll bless.” Join Pastor Rick for this series on how to believe in and be faithful to God’s dream for your life. The Bible says in Matthew 9:29, “According to your faith let it be done to you.” That’s the key to the great adventure of following Jesus Christ. God says, “You get to choose how much I bless your life. You believe, and I’ll do it. You believe, and I’ll bless.” Join Pastor Rick for this series on how to believe in and be faithful to God’s dream for your life.